I’ve grown up with the ocean. My grandfather took me out on his boat and we would spot penguins and seals in the water. As a result of my coastal upbringing (though later-in-life surf journey) I feel happiest with the sea. On Tuesday, I got to meet somebody who feels the exact same way. She’s even dedicated her blog to her worldly coastal travels. Enter Jessica from Turquoise Compass. I had the brilliant opportunity to meet this inspiring traveller and show her around my part of the world. 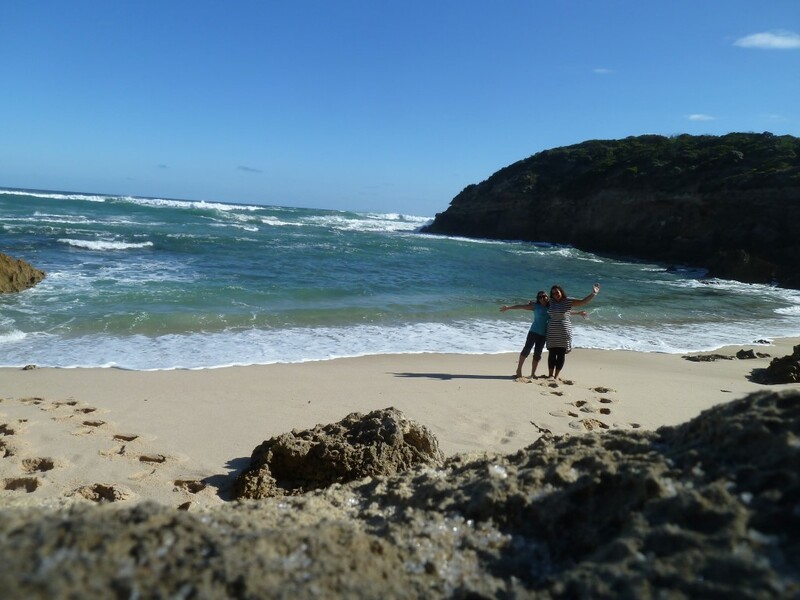 I took her to Arthur’s Seat to show her an expansive view of the sparkling turquoise water of Port Phillip Bay and took her to a few of my surf spots like Gunnamatta and Point Leo. 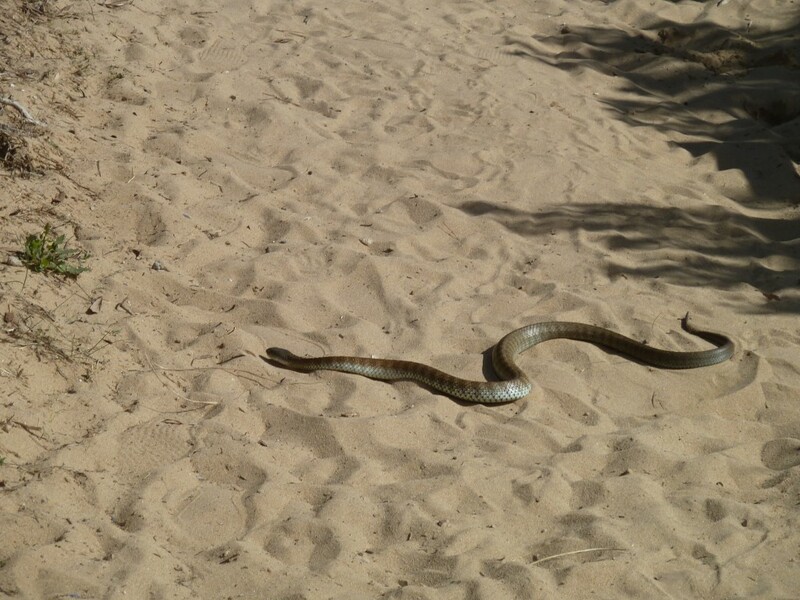 We almost encountered certain death at Gunnamatta. I had just been telling Jessica I had never seen a snake in the wild (which is quite surprising: a) Australian b) tromps through bush reserves a lot c) practically lives on the beach d) has grown up with horses and on farms). Jessica was astounded. She’d seen four already! So it turns out Turquoise Compass is actually a magnet for snakes because ten minutes after she told me she’d seen four already, she spotted a metre-long tiger snake right beside us. We squealed like the girls we are and quickly ran away…then got brave enough to snap numerous photos of it. They really are amazing animals, scary though they may be. 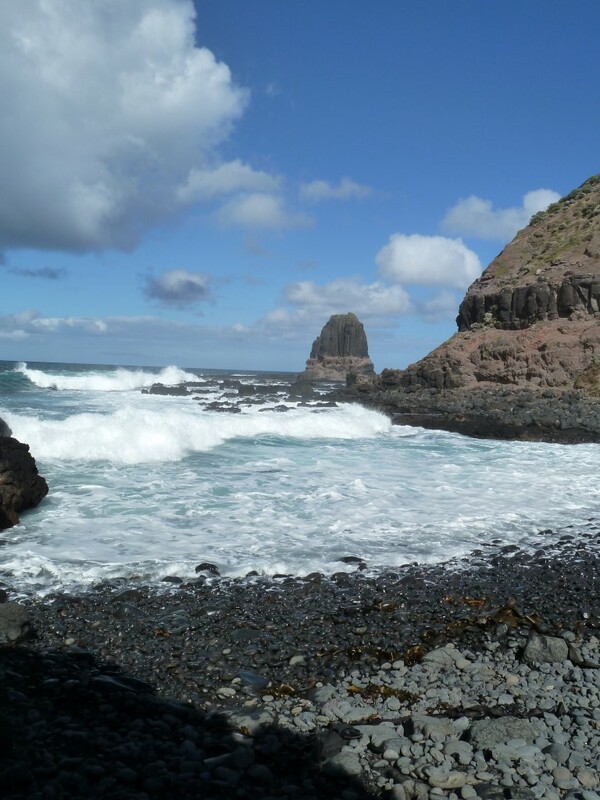 We went to Flinders, overlooking the surf on the rocks, and went to Cape Schank where the crushing Bass Strait has carved out some spectacular rock formations. 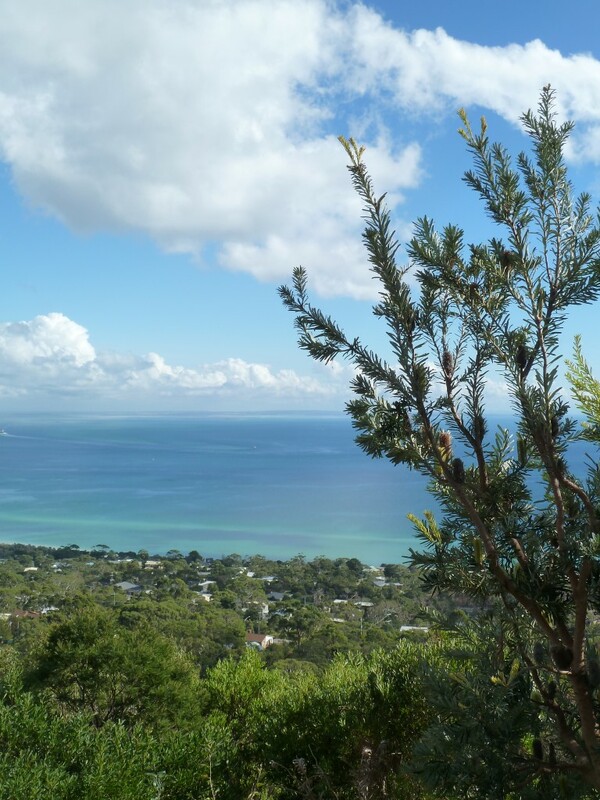 “Our own little apostle” on the Mornington Peninsula. 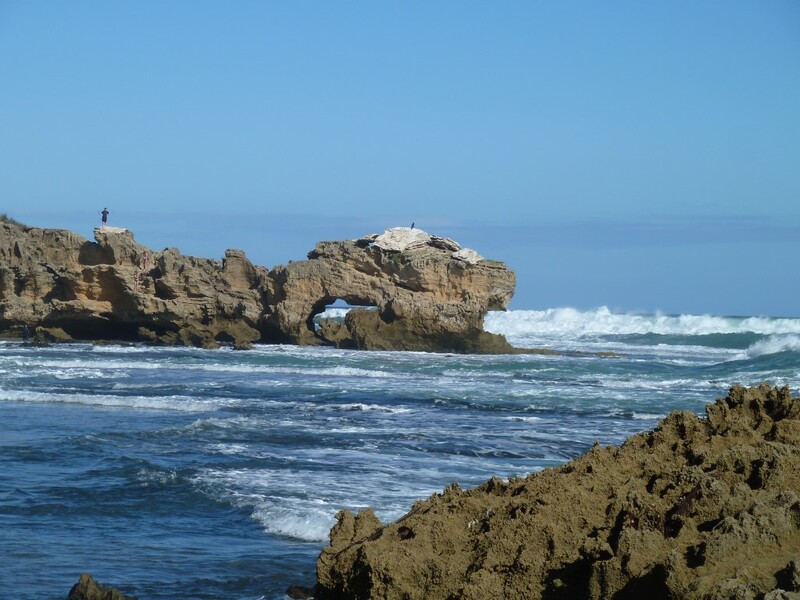 We headed over to the Blairgowrie Back Beach to check out more gorgeous rock formations and more turquoise water. We dug our toes in the coarse sand that glittered like broken glass at Bridgewater Bay. We finished our little “tour” off at Rye, where the water is so clear you can see the rippled sand and spot fish and dolphins. It was a great day with Jessica; I am so glad we got the chance to meet. I can’t wait to start travelling and seeing the beauty of the world and surfing at famous breaks. Hi! I’m Amy from Surf and Fitness Journey. I am a 27-year-old university student from Australia. I love to surf; I love the beach and I also love animals. I took up surfing to embark on a fitter and healthier lifestyle to cope with battling an eating disorder. I’ve written all about my journey on my blog. You can also find me on social media but more than likely I’ll be in the ocean getting my hair wet. This entry was posted in Uncategorized and tagged adventure, Beach, Coast, Coastal Views, experiences, Guest Post, ocean, Sea, Surf and Fitness Journey, Travel, travel photography, Turquoise, Turquoise Compass by Turquoise Compass. Bookmark the permalink. You know, although I lived only 3 hours or so away, I never did visit that area. It was badly flooded when we arrived in Australia in Feb 2011 and then we never got a chance to visit later in the year. Will you be visiting that area the next time around? I didn’t put it on the agenda. Will have to see about that. Sometimes you start to want to see things others haven’t seen, not so mainstream, right? I might be feeling that way about a return trip to Oz. That makes sense. If so, then definitely hit up the west coast north of Perth and go all the way to Darwin. That is definitely off the beaten track. So beautiful! I want to dive right in! I know right? I wanted to too, but actually it was quite cool that day so swimming was not an option. 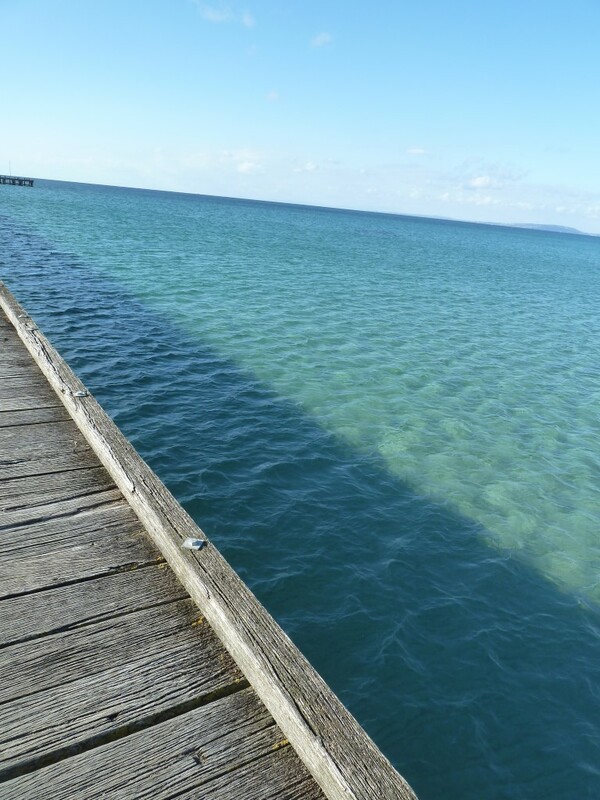 Plus the water is freezing this time of year in the Melbourne area in Australia. Fantastic spots and photos, Amy! I wish I would have joined you girls! Wish you could have made it girl!